Back in the olden days, you used to receive an annual statement from the Social Security Administration detailing your benefits projected to your potential retirement age(s). Nowadays you can go online (www.SocialSecurity.gov) and request a current statement at any time. If you haven’t gone online for your statement, you should receive a mailed copy of the statement every five years. While the statement is designed to be pretty well self-explanatory, I thought it might be beneficial to review the statement so that you know what the statement is telling you. 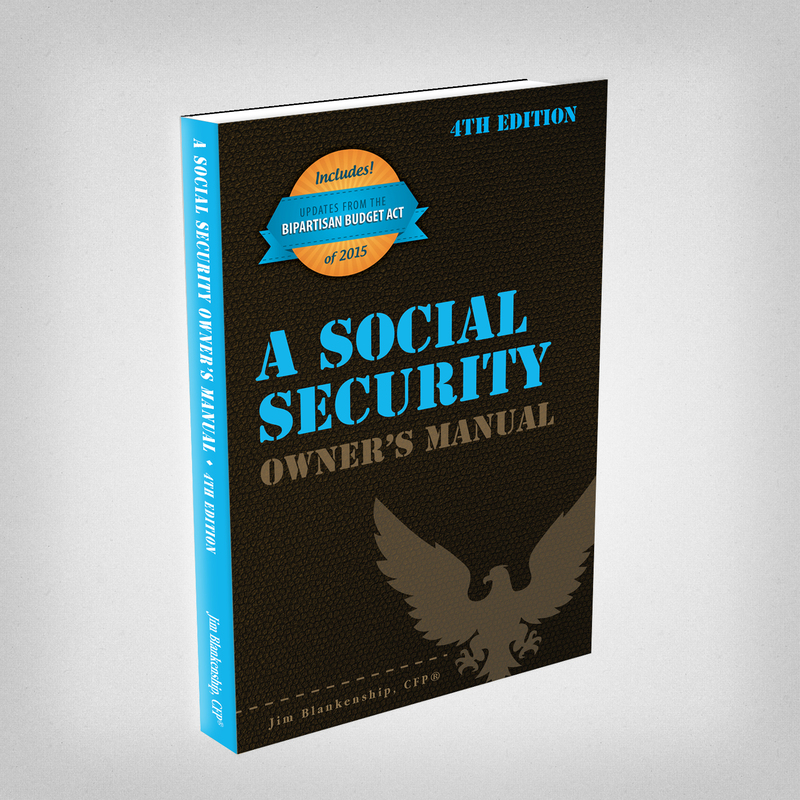 This page is your basic SSA boilerplate, explaining to you some of the current details of the Social Security system, including the services and tools that they have available to you. In addition, SSA points out that Social Security benefits should be only a part of the overall retirement resources picture. On average, Social Security will replace about 40% of your annual pre-retirement earnings. Now we’re into the meat of the report. At the top of the page is the detail of your Estimated Benefits. These estimates assume that your current earnings rates continue until the projected ages. First are your Retirement Benefits – at Full Retirement Age (your FRA will be listed), at age 70, and at your early retirement age of 62 (if you’re not over this age already). These figures are helpful when planning retirement income, assuming that you expect to continue earning at your current income level until the projected age(s). You also must assume that the Social Security system will continue to pay out at the current rates to folks at your particular level of income in the future (but that’s a discussion for another time). The next section is for Family and Survivor’s Benefits – indicating the amount of benefit that your Child, your Surviving Spouse caring for your child under age 16 or who has reached Full Retirement Age would receive upon your death. In addition, your Family Maximum Benefit will be listed here as well. 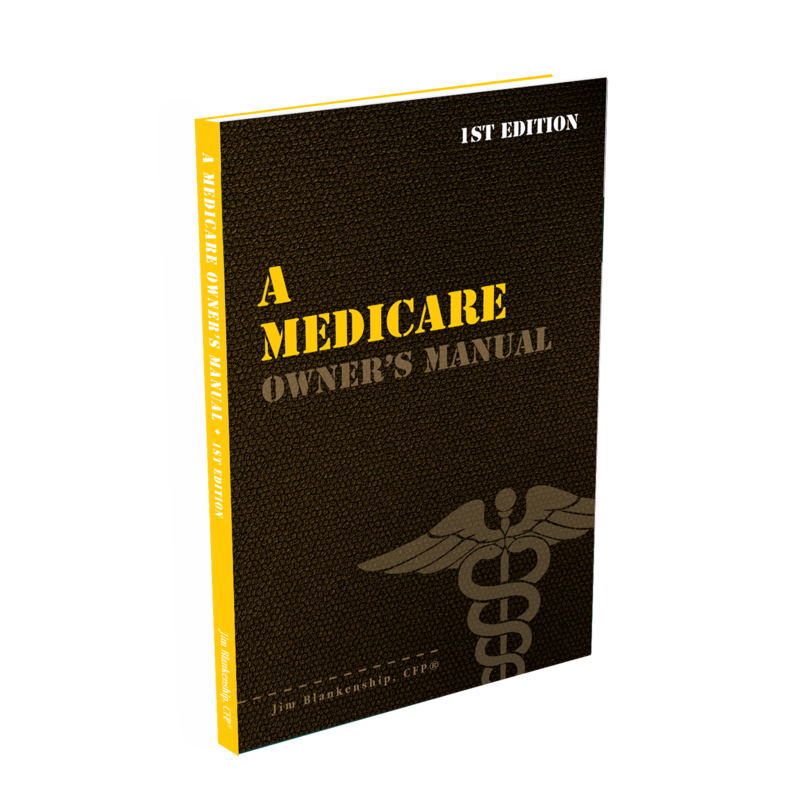 Lastly in this top section, the statement provides you with information about whether you have earned enough credits to qualify for Medicare at age 65, followed by your birthdate and the income estimate that Social Security is basing their projected estimates of your benefit upon. The bottom portion of the second page details how the benefits are estimated. The explanation includes information which may change your benefit amounts (versus the projections), such as changes in earnings levels, receipt of Railroad Retirement benefits, and potential changes to the laws governing benefit amounts. Also included here is information about the WEP and GPO calculations, where they might apply to potentially reduce benefits. The Third Page of the statement lists out the details of your Earnings Record at the top. This section is important to review carefully… you should review the earnings listed for each year against your tax records or W2 statements, to make sure that the information the SSA has is correct. In addition to reviewing for correctness, you should look over your record and note the “zero” earnings years, as well as years that you earned considerably less than what you earned (or are earning) in later years. As we’ve discussed in the past, your benefits are based upon your 35 highest earning years. If you have had some “zero” years in the past or some very low earnings years, you can expect for your estimated benefit to reflect any increases that the current year’s income represents over your earlier low earnings or zero years. This only becomes significant once you have a full 35 year record in the system. Another key here is that your projected benefits listed on page 2 are based upon your earnings remaining the same until your projected retirement age(s). If you choose, for example, to retire at age 55 and have no earnings subject to Social Security withholding, your projected benefit will be reduced since those years projected at your current earning level will actually be “zero” years or much lower if you have a lower salaried job during that period. This reduction is in addition to any actuarial reductions that you would experience if you choose to take retirement benefits before FRA. In addition, if you have gaps showing in your earnings history, you may have had a job that was not covered by Social Security, so you will be interested in knowing how the Windfall Elimination Provision (WEP) affects you, and how the Government Pension Offset (GPO) may affect your family or benefits that you may be eligible from your spouse. The middle portion of the Third Page shows how much you have paid in to the system over the years – both the Social Security system and Medicare system. This can be an eye-opener… quite often we don’t realize how the money we’ve paid in can stack up! Lastly on the Third Page, there are details on how to report any inaccuracies that you might find on your statement. It’s much easier to resolve things earlier in the process rather than later – when you’re possibly under the gun about applying for your benefits. The Back Page of the statement is full of additional information about the Social Security system, benefit calculations, and other fun facts about your benefits. There is also a lot of information about how to find more information about your benefits as well. 2 comments already - add to the conversation! Posted in: Social Security, social security administration, social security benefits, social security retirement, Social Security spousal benefit. With all of these benefits, you can see why the Roth IRA has become a very popular option for retirement savings, as well as for estate planning. So the question now becomes: Am I eligible to contribute to a Roth IRA? You must have earned income. This means you receive compensation in the form of wages, salaries, tips, professional fees, bonuses, commissions, self-employment income, nontaxable combat pay, and taxable alimony or maintenance. If you are married and you had no earned income (or your earned income is less than the maximum Roth IRA contribution amount), your Roth IRA contribution may be based on your spouse’s earned income. $10,000 if your filing status is Married Filing Separately and you lived with your spouse at any time during the year. You cannot contribute more than your earned income. A spousal contribution is allowed, as long as the total of contributions to personal and spousal IRAs doesn’t exceed the total of your own and your spouse’s earned income. You are limited by an annual amount (for 2019 it’s $6,000 plus an over age 50 “catch up” of $1,000). Your total IRA contributions (traditional and Roth added together) cannot exceed that annual limit. When your MAGI reaches a certain amount, your contribution amount will begin to be limited. You can visit this page for more details on the MAGI limits and how they are applied. 3 comments already - add to the conversation! Posted in: IRA, retirement plan, Roth IRA. 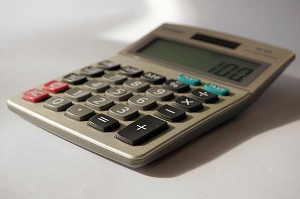 How is the Spousal Benefit actually calculated? First of all, the Spousal Benefit is based upon a differential – between 50% of the other spouse’s Primary Insurance Amount (PIA) and his or her own PIA. Let’s say there’s a couple, both the same age with a Full Retirement Age (FRA) of 66, and the wife has a substantially lower wage base (and therefore a lower benefit) than the husband. At age 62, she files for the her own reduced benefit based on her own record, from a PIA of $800. Her benefit is reduced to $600 due to filing early. The husband’s PIA is $2,000 per month. Later on, when they reach age 66, the husband files for his Social Security benefits. 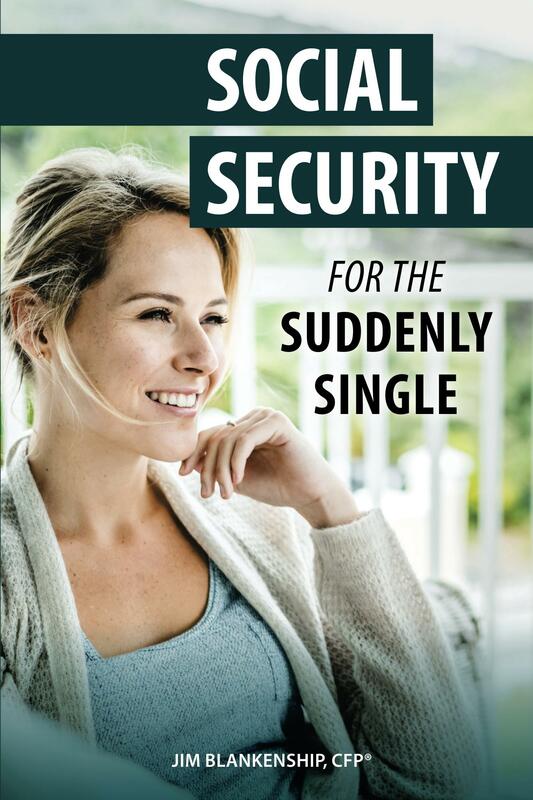 The wife is now eligible for a Spousal Benefit, because one of the enabling factors for a Spousal Benefit is that the other spouse has filed for his or her own Social Security benefit. The Spousal Benefit is based on the differential between 50% of the husband’s PIA ($2,000 X 50% = $1,000) and her PIA ($800). The PIA is used to calculate this differential, not her benefit, even though her benefit is reduced since she filed early. The differential between those two factors is $200 ($1,000 minus $800). The differential is then added to her reduced benefit for a total benefit of $800 (reduced benefit of $600 plus the differential of $200). For simplicity, COLAs have not been included in this example. Let’s adjust the example: Same couple, only now the wife waits until her FRA to begin drawing her own benefit, which is the same time as the husband. Now her Spousal Benefit differential will still be $200 (the differential between 50% of his PIA and her PIA), so her total benefit will now be $1,000 (her unreduced PIA of $800 plus $200 differential). Now, what if the wife is younger? As long as she’s at least age 62, she can begin receiving the Spousal Benefit once her husband applies for benefits. It’s important to know though, that if she decides to file for the Spousal Benefit prior to her FRA, the Spousal Benefit factor is correspondingly reduced (as would be her own benefit if she filed early). Instead of 50% of her husband’s PIA, at her age 62 the Spousal Benefit factor would be reduced to 35% of her husband’s PIA, and then the differential calculated as explained before. At age 63 the Spousal Benefit factor would be 37.5%; at age 64, 41.7%; and at age 65 it would be 45.8%. This reduction is calculated as 25/36ths of one percent for each month before her FRA up to 36 months, plus 5/12ths of one percent for each month more than 36 before FRA. The reduction factor is then taken against the original 50% factor to determine the actual percentage of the husband’s PIA to be used in calculating the Spousal Benefit differential. In this manner, the reduction is 25% for the closest 36 months to FRA, and then an additional 5% for each year more than 3 before FRA that the filing for Spousal Benefits is completed. If you file for Spousal Benefits exactly 4 years before your FRA, the Spousal Benefit factor is reduced by 30%, as an example. So instead of 50%, the most your Spousal benefit could be is 35% (which is a reduction of 30% applied to the original 50%). In all cases except for someone born before 1954*, filing for a Spousal Benefit deems filing for your own benefit. Also, whenever eligible for a Spousal Benefit, if you file for your own benefit deemed filing requires that you have also filed for the Spousal benefit. This can result in unexpected reductions to both types of benefit if you weren’t prepared for this. *If born before 1954 and you’re over FRA, it is possible to file solely for Spousal Benefit while delaying your own benefit to a later date. If you file for a Spousal benefit before reaching FRA, deemed filing applies to you no matter what your date of birth is. Keep in mind that the examples above denoted the wife as the spouse receiving the Spousal Benefit – but the roles could be reversed, depending upon the circumstances. I hope this clears things up a bit. It’s a very confusing component to understand, but this should have helped to clear things up – let me know if you have any questions, as always! 1 comment already - add to the conversation! Posted in: Deemed Filing, Social Security, Social Security spousal benefit, Spousal Benefit. Between the ages of 59½ and 70½ there are no rules or restrictions regarding withdrawals from your IRA – including no required withdrawals. How ’bout them apples?? That’s a full 132 months where you can take money out of your IRA at any time, for any reason, and there are no consequences! Well, the one consequence is that you have to pay ordinary income tax on the tax-deferred withdrawals. You’re also free to not take money out of your account, if you wish – a privilege that you might yearn for after you reach the end of this free-for-all time. And it gets better if you have a 401(k) – you have from age 55 to age 70½ with no restrictions, the only additional requirement being that you have separated from service (left your employer) on or after age 55. And many employers are stepping up and helping folks out with that lately – hardly a day goes by without hearing of someone “separating from service”. So – when everything seems to be going against you, you can sit back and think about how the IRS has given you this wonderful span of time… eleven full years… with no restrictions. Posted in: IRA, retirement plan. You’d think that, after working all your life and now that you’re in a position to retire and start taking Social Security retirement benefits, that you could get a break and not have to pay income tax. But alas, Social Security retirement benefits may be taxable to you, depending upon your income level. And in truly typical bureaucratic style, it’s not a simple question to determine 1) IF your benefit is taxable; or 2) what rate or amount of your benefit is taxable; or even 3) what income is counted to determine if your benefit is taxable. Form 1040 Line 1, 2a, 2b, 3a, 3b, and 4b, plus Schedule 1, Line 22, plus 50% of your Social Security benefit – these income lines are all added together. Subtract the deductions (Schedule 1, Line 36) from the income items – if this number is zero or less, you don’t have to calculate any more. Your Social Security benefit is not taxable. IF, on the other hand, you come up with a positive number after this calculation, this number is your Provisional Income. Once you’ve determined the Provisional Income, you’re ready to look at the “Base Amount”. Okay – so now that you know your Base Amount, you compare that number to the Provisional Income number that you came up with previously. If your Provisional Income is less than your Base Amount – you can stop, because none of your Social Security benefit is taxable. However (and there’s always a “however” in life, right?) if your Provisional Income is greater than the Base Amount – hang in there, you have some more figgering to do. And guess what? There’s more complexity involved! Yippee! If you’ve determined that your Provisional Income is greater than your Base Amount. This indicates that some of your Social Security benefit is going to be taxed. This next calculation determines just how much of the benefit will be taxed. If your Base Amount is $32,000 (your filing status is Married Filing Jointly) then you have an Incremental Amount of $12,000. If your Base Amount is $25,000, then your Incremental Amount is $9,000. When you subtract the Base Amount from your Provisional Income – is the figure you’ve come up with more or less than your Incremental Amount? If less, then 50% of the Provisional Income minus the Base Amount will be taxable, and you’re finished with calculations. (Don’t worry, we’ll work through a couple of examples to try to clear this up.) If the amount that you came up with was greater than your Incremental Amount, then at least 85% of the amount above the Incremental Amount plus the Base Amount will be taxed – but more calculations are required. If the amount of Provisional Income is in excess of your Base Amount plus the Incremental amount, which is your Excess Provisional Income, there is another calculation to complete. Take 50% of your Incremental Amount, and compare it to 50% of your overall Social Security benefit. Whichever number is smaller, add that number to 85% of your Excess Provisional Income. Then lastly, multiply your total Social Security benefit by 85%, and compare this number to the one you just came up with – whichever is smaller is the amount of Social Security benefits that is taxable. Confusing enough? Let’s walk through a couple of examples to clarify. Hopefully these two examples will clear things up a bit. If you are in one of the Single filing statuses, substitute your BA ($25,000) and Incremental BA ($9,000) where applicable. If you have filing status of Married Filing Separately and you lived with your spouse at any time during the year, 85% of your Social Security benefit is always taxable. This is the maximum amount that can be taxed using the calculations illustrated above. 4 comments already - add to the conversation! 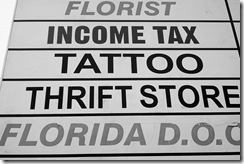 Posted in: income tax, Social Security, tax. Let’s talk a little bit about tax credits and tax deductions. Both can be used to help reduce or avoid taxation but behave differently when it comes to doing so. Tax deductions are beneficial because help lower the amount of your income subject to taxation. Deductions may be either “above the line” or for AGI, or “below the line” or from AGI. The line in the sand in this scenario is of course, AGI (adjusted gross income). Above the line deductions are beneficial because they reduce gross income to arrive at AGI. A lower AGI may result in being able to take advantages of other benefits in the Internal Revenue Code (IRC) such as being able to contribute to a Roth IRA and qualifying for additional tax credits (discussed below). Common above the line deductions include pre-tax 401(k) contributions, student loan interest, deductible contributions to a traditional IRA, HSA contributions, and self-employed business expenses (Schedule C). Once AGI is reached, below the line deductions can be applied. Below the line deductions lower AGI further, to arrive at taxable income. Below the line deductions are going to come from either itemized deductions (Schedule A) or the standard deduction – a deduction everyone qualifies for and varies in amount based on filing status. You may either itemize or take the standard deduction, but you cannot do both. If you itemize, you’ll use Schedule A. Common deductions on Schedule A include medical and dental expenses, home mortgage interest, state and local taxes, and charitable contributions. Some deductions on Schedule A (such as medical and dental) are subject to a floor of AGI. An AGI floor means that the expenses may be deducted once they’re higher than the floor. For example, if your AGI is $100,000 and the deduction has a floor of 10%, then any expenses above $10,000 would be deductible. Once all deductions have been taken, you arrive at your taxable income. It’s here where the applicable tax rates are applied, and your tax is calculated. However, you may still benefit from tax credits. 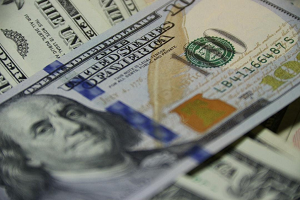 Tax credits reduce the amount of tax owed on a dollar-for-dollar basis. Whereas deductions reduce taxable income, credits lower the amount of taxed owed. For example, if you owe $2,000 in taxes but have $1,500 worth of credits, then your net taxed owed would be $500. 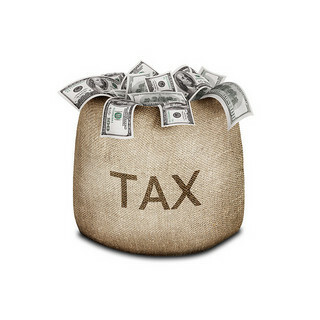 In some instances, your tax credits may eliminate any taxes owed. In fact, you may even qualify for a refund based on your credits exceeding the tax you owe (called refundable or partially refundable credits). Naturally, the specific credit(s) you may qualify for depends on your situation. For example, parents can take advantage of the child tax credit, American opportunity tax credit, child and dependent care credit, and the earned income tax credit. Other credits you may be eligible for are the lifetime learning credit, saver’s credit, adoption credit, and residential energy credit. To see what credits and deductions make the most sense for your situation, talk to a tax professional such as a CPA that specializes in taxes, an EA, or tax attorney. You don’t want to leave money on the table or pay more tax than required. Posted in: income tax, income tax credit, refunds, saver's credit, tax, tax credits, tax deduction, tax deferral, Uncategorized. If you are the beneficiary of an IRA and are required to include some IRD on your tax return, you may be eligible for a special IRD deduction. This deduction is limited to any estate tax that was paid on the income received in respect of the decedent. This would have to be a significantly-sized estate, since the applicable exclusion amount for 2019 is $11.4MM. It is important to note that the IRD deduction is only available for federal estate tax – your state estate tax may or may not be deductible, you’ll need to check that with your state authorities. From an IRA, IRD includes any income that you receive that was included in the gross estate. Any growth that occurs after the date of death of the original owner becomes income to the beneficiary, and therefore is not IRD. Any estate tax that can be attributed to that IRD is deductible as a miscellaneous deduction on Schedule A of Form 1040 – this deduction is NOT one of the miscellaneous deductions that was eliminated with TCJA 2017. 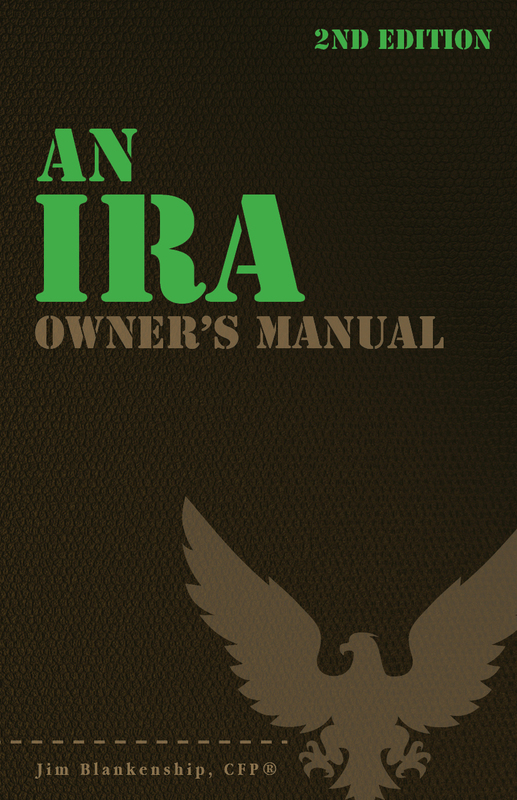 If the IRA had basis – that is, if the IRA included non-deductible contributions – then those contributions are not taxed to the beneficiary as IRD. Income tax has already been assessed on these amounts prior to contribution. For a Roth IRA, the IRD only includes income received via non-qualified distributions, and then only the portion that represents growth in the account. The main way that you could get caught by this one is if the IRA has not been established for the required five-year period prior to the death of the original owner. Any income (growth) in the account up to the date of death is IRD, the contributions are tax-free, and any growth after the date of death is income to the beneficiary (and not IRD). To calculate the IRD deduction, you need to know the amount of the taxable estate, the amount of tax paid on the estate, and the value of the IRD item(s) in the estate. As an example, we’ll say we have an estate valued at $15MM, and an IRA worth $1MM. On the entire estate, we paid tax of $1,440,000 (40%). Next, we calculate the estate tax on the value of the taxable estate without the value of the IRA – and we come up with $1,040,000. So the estate tax attributable to IRD is $400,000, or 40% of the IRA value. So, as distributions are made from the IRA, you can claim a deduction of 40% of each distribution until the entire $400,000 attributed estate tax is used up. This deduction offsets (in theory) the fact that you must include the distribution as ordinary taxable income. Once again, this is not an activity for the faint of heart. I suggest working closely with your tax pro to make sure that you’re calculating things correctly – it can amount to some sizeable tax issues if you’ve fouled it up somehow. Posted in: income in respect of decedent, IRA, IRD, tax. So – you’ve gone through the effort of filing your tax return, or maybe you went to a tax preparer and your return has been filed. You see that you’re going to be getting a sizeable refund this year – in spite of your careful planning – and you’re anxious to get your hands on it! How can you check on it to see what’s going on with it?? First of all, you can go to the IRS’ website at www.IRS.gov and access the interactive tool called Where’s My Refund (also available in Spanish as ¿Dónde Está Mi Reembolso? ), which will give you quick, accurate information about your refund. From the IRS.gov front page click on “Refund Status” to get to the tool. After you’ve eFiled (or had the return eFiled for you) you can get information about the refund 72 hours after the IRS acknowledges receipt of your return. If you file a paper return, the refund information will not be available online for three to four weeks after you’ve mailed the return. Once you’ve plugged all that into the system, you might get several responses. For example, the system may simply tell you that your return has been received and is being processed. Or, you could receive the mailing date or direct deposit date of your refund. Or, if you’re really unlucky (or maybe you have enemies in the Post Office), you may find that the IRS could not deliver your refund due to an incorrect address. In that case, you may be able to correct or change your address online. If there happens to be an issue with your particular situation, the online system may give you some options to work with to resolve those situations. An example would be if you have not received your refund within 28 days from the original mailing date (per IRS records), you can initiate a refund trace using the system. If you don’t happen to have internet access, you can always call the IRS refund hotline at 800-829-1954. You’ll have to have the same information listed above (Social Security number, filing status, and exact whole dollar refund amount) to use the phone system as well. A little insiders’ tip: refund checks are normally mailed on Fridays. If you check the status of your refund and don’t find a mailing date, it won’t do any good to check again until after the following Friday. Posted in: income tax, income tax refund, tax. So – you’re all set to do your taxes. And then… you realize you’re missing something. One of your W2’s hasn’t shown up in the mail. Maybe it was a short-term or a part-time gig, or maybe the business changed hands – or maybe it just got lost in the mail. Whatever the reason, you’re missing one of the documents that you need in order to prepare your tax return. So what do you do? Contact your employer – inquire if and when the W2 forms were mailed out. It’s possible that the postal service returned it to your employer due to an incorrect or incomplete address. Even if it hasn’t been returned, your employer should be able to produce a new copy of the form and send it out to you. Contact the IRS – the IRS receives a copy of all W2 forms filed. Wait until after February 16, and then you can call the taxpayer assistance line at 800-829-1040. Make sure you have as much information about the earnings as possible – including your employer’s name and address, your dates of employment, and an estimate of your earnings (you can get this from your end-of-year pay stub). The IRS should be able to produce the appropriate information for you or direct you to the steps you need to take. File your return – on time if you can, or with a timely filed extension request, even if you have not received the W2. If you have taken the first two steps and still have not received the form by April 15, use Form 4852, “Substitute for Form W2, Wage and Tax Statement”. Attach Form 4852 to your return, using your last pay stub to estimate your earnings and withholding taxes. Keep in mind that using Form 4852 may delay any refund due to additional processing required. File an amended return – if you happen to receive your W2 after you’ve filed using Form 4852 and the W2 includes different information than you used to prepare your return. 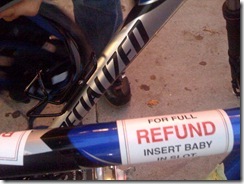 Use Form 1040X to file this amended return, within 3 years of the original return deadline. You can find the forms mentioned above on the IRS website. Posted in: income tax, tax. When you receive income, it’s likely going to be subject to taxation. However, the type of income will determine the specific tax treatment, and ultimately determine how much you get to keep. We can break income down into three basic types: ordinary income, capital gains income, and interest income. Here’s a breakdown of each. Ordinary Income – Ordinary income (OI) is income received that is subject to ordinary income tax rates. These tax rates are the rates individuals pay on incremental amounts of income. Rates can be as low as 10% and as high as 37%. Income typically subject to OI rates is income from your wages (W2, self-employment), taxable bond interest, taxable retirement income, and annuity income. Capital Gains Income – Capital gains income occurs from the sale of assets such as stocks, bonds, mutual funds, ETFs, real estate*, and other assets. Depending on how long the assets were held determines if capital gains are taxed at OI rates or more favorable long-term rates. Assets held for one year or less and then sold, have any gain subject to OI rates. Asset held longer than one year and then sold have gains taxed at long term capital gains (LTCG) rates – which are either 0%, 15%, or 20% – depending on your total income. The higher your total income, the higher the LTCG rate you’ll pay. Qualified dividends from stocks are generally taxed at the favorable LTCG rates. Interest Income – Interest income is income from assets that generate interest such as bonds, savings accounts, CDs, treasuries (savings bonds, T-bills, etc. ), and money market accounts. In most cases this income is taxed at OI rates. One exception is interest from municipal bonds issued by city or state governments. Interest on these bonds is not taxable at the federal level and may avoid state and local taxation as well. Knowing how specific income is taxed can help with the process of where to hold specific assets and in which accounts – called asset location (discussed later). This can improve your tax efficiency. Additionally, capital losses (selling an asset for less than you paid for it) may be used to offset other income, also improving tax efficiency. Posted in: capital gains tax rates, income tax. But the question sparked the idea of discussing what happens when a beneficiary doesn’t act in a timely fashion with regard to taking Required Minimum Distributions from the inherited IRA? “unwind” the mistake by taking your RMDs for the first four years, paying the 50% excess accumulations penalty on each distribution, and then continuing on with your lifetime RMDs. In each case, of course, you would be required to pay ordinary income tax on the distributions. This is the “default” distribution option – and the rules are that you must take the complete distribution (either a series of payments or a lump sum) within five years following the year of the original IRA owner’s death. In the example we’ve started, this means that you have roughly a year to complete the distribution. Since ordinary income tax is owed on distributions from your inherited IRA, if the balance is significant this could represent a sizeable tax bill for you. It might even put you into a higher (or much higher) tax bracket, causing lots of unnecessary additional tax – versus taking the other route, unwinding the mistake. In order to avoid the excess taxes described above in the Five Year Distribution, you would need to go back and take distributions for the three prior years that you missed, based upon your Table I factor. For example, let’s say your inherited IRA was worth $100,000 at the end of the year in which your mother passed away, and your age in the following year was 28. 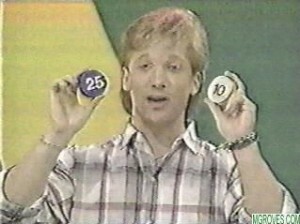 According to Table I, your life expectancy is 55.3 years. Dividing the IRA balance by 55.3 gives us a RMD of $1,808.32. That’s your first year’s distribution. Continuing the example, you subtract 1 from the Table I value, along with the balance of the IRA at the end of the first year (minus $1,808.32) to come up with the RMD for the second year. For the sake of the example we’ll assume that the IRA is growing at a fixed rate of 5% per year, and so the balance at the end of the second year is $105,000. Subtract $1,808.32 from that figure to come up with an end of year balance of $103,191.68. Your Table I factor is 54.3, yielding an RMD of $1,900.40. For the third year, your IRA has now grown to $110,250. Subtracting your two years’ worth of RMD leaves you with $106,541.28, and your Table I factor is 53.3, giving you an RMD for the year of $1,998.90. Adding these three years’ worth of RMDs together equals $5,707.62, which you’d take out in a distribution for the prior (missed) years. This amount is subject to ordinary income tax (just like your other income), but is also subject to a special tax on “excess accumulation”. This tax is for failure to take RMDs in a timely fashion, and amounts to 50% of the distribution that was required, or $2,853.81. While you could take this amount out as an additional distribution, keep in mind that you’d also have to pay ordinary income tax on that amount – but at least you wouldn’t have to pay the 50% penalty on it. You’d probably be better off just paying half of what you take out in the RMDs, since you hadn’t had that money in your hands anyhow. I know I’ve cautioned you about this before, and perhaps you see it as self-serving (tax guy recommends a tax guy, duh!) but you can really cause yourself some extra grief if you foul this one up. It would be worth it to have a tax professional review your calculations at the very least. To tell the truth, you’re probably just as well to have the tax guy do the calculations for you because the cost is likely about the same for him to review your work as to do it himself. The tax pro can help you with the required filing of Form 5329 (to account for the excess accumulation tax) as well. In addition to the tax, interest may be owed as well on the accumulation tax due in prior years. It should be noted that the fact that the decedent in the example is your parent is not critical to the facts of this explanation – only that you are inheriting the IRA from someone other than your spouse. A spousal inheritance is a different animal altogether. A factor of this example that IS important is that the IRA belonged specifically to the decedent (your mother) and is not an IRA that she inherited from someone else. If you’ve inherited an IRA that was already an inheritance, if it was specifically directed to you as the designated contingent beneficiary then the rules are the same. But if you received the IRA via the estate (because you were not named as a beneficiary on the IRA documents), you’ll have to follow the five-year distribution rule exclusively. Lastly, it is also important to note that the example only identifies a single primary beneficiary – if there is more than one beneficiary, the process described would be complicated by the fact that the oldest of all the beneficiaries (with the smallest Table I factor) would be the one whose distribution period is used for all beneficiaries, since the IRA was not split by the end of the year following the year of the death of the original owner. Posted in: Early Distribution, financial planning, IRA, minimum distributions, retirement plan, rmd, rmds, tax. If you are covered by Medicare, you may be wondering how the premium increases are determined. Sometimes there is no increase, and sometimes there’s an increase for some enrollees but not others. And some folks have to pay way more than everybody else. To understand this quandry, we need to look at the system for determining increases to Social Security benefits first. Let’s look at how it worked the last time there was no COLA. This is how future zero-COLA years will work as well. For the year 2015 there was no Cost-Of-Living Adjustment (COLA) in Social Security benefits. This occurred because the Consumer Price Index (CPI) had not increased for the prior year (2014). While the COLA figures don’t parallel the CPI exactly, the CPI is a rough guide to follow when determining increases. This was the third time in seven years that there was no COLA – before that, there was an automatic increase in benefits every year since 1975. So what does this mean for Medicare premiums? Well, for most folks (about 75%) receiving Social Security, since you are already receiving Medicare Part A for no premium, there is no change. Since your Part B premium is linked to the COLA for Social Security, it remained unchanged for 2015. What isn’t linked to COLA is Part D drug coverage, so this increased for most all beneficiaries. In the future, if there is another zero-COLA year, Part B premiums will likely enjoy similar treatment (unless the rules are changed). You make too much money, and are subject to IRMAA rules. The first one seems pretty simple, but it’s more complicated than it seems. For nearly all Social Security recipients, deduction of Medicare Part B premiums is compulsory. But there’s another, larger group that is enrolled in Medicare Part B that are not currently receiving Social Security benefits. Therefore, individuals who are not receiving Social Security benefits cannot have Medicare Part B premiums deducted from their checks. So this group is in danger of increased Medicare Part B premiums when most other enrollees are enjoying a premium increase holiday. When these folks eventually apply for Social Security benefits, Medicare Part B premiums will be deducted from their checks – and they’ll be in the special 75% group that may (depending upon COLAs) enjoy a year or so with no increase to premiums. But this won’t apply to the first year of Social Security benefits – only after you’ve received benefits in one calendar year and received a COLA increase does this rule apply. The second circumstance is cut-and-dried: since this is your first year of receiving Medicare, there was no previous benefit to apply an increase to. So you just have to accept the current standard premium, with no limitation for you. That is, unless you make too much money, because then the third provision applies to you. So, what’s too much money? Medicare Part B premiums start to increase when your income is more than $85,000 for single filers, or $170,000 for joint tax filers. At this level, your Part B premium will increase by $54.10 per month, an increase of roughly 40% over the standard 2019 premium of $135.50. As your income increases, the Part B premium increases as well, up to a maximum premium increase of $325 per month if your income is above $500,000 for single or $750,000 for joint filers. For the majority of Social Security recipients, the overall impact is minimal, if not a positive. This is not to downplay the significance, especially to low-income seniors who rely almost exclusively on Social Security benefits, as many other costs (energy costs, food, housing, etc.) have increased, plus the value of home real estate has decreased dramatically. These factors taken together can have a devastating impact on folks who have no other “safety net” available to them. If you’re not presently in the position to have these concerns, you should take this information as a warning: it is critical to develop additional resources to be ready and available in the case that subsidized sources of income are not available or are limited when in retirement. Posted in: cola increase, cost of living adjustment, Medicare, medicare, medicare costs, medicare part b, medicare part b premiums, Social Security, social security benefits, social security checks. A defined benefit pension is a type of retirement plan that your employer may offer as the only plan offered, or in conjunction with a 401(k) plan. If you have access to a defined benefit pension or are currently participating in one, you are in rare company as these types of plans are becoming few and far between. Defined benefit pensions are different from 401(k)-type plans (called defined contribution plans) in several ways. One of the biggest differences is the fact that the employer is responsible for the funding of the plan in addition to accepting all the investment risk of the plan’s assets. With a 401(k)-type plan, the employee is responsible for funding and the risk in the investment portfolio. Many defined benefit pensions are also backed by the Pension Benefit Guarantee Corporation (PBGC), which protects your pension up to a certain amount in event of plan termination. Another difference is that at retirement, the defined benefit pension pays the retiree a guaranteed income stream for life (an annuity), and that guaranteed income may or may not have an inflation increase. If you’re married, by law the pension must be paid as a joint and survivor annuity – meaning that if the spouse who has the pension dies, a benefit is still paid to the surviving spouse. With a 401(k)-type plan, the account balance at retirement is based on the employee’s contributions (and any employer match) and how it was invested. At retirement, the retiree is responsible for taking income from the account. They may choose to take periodic withdrawals, fund an annuity, or leave it invested should they not need the money just yet. The key point is the employee is responsible for these decisions. With a defined benefit plan, the decisions are already made, and if not, are very simplified. The amount of the retirement benefit from a defined benefit pension is generally based on length of service, age, and final average salary. Thus, the longer you work and are participating in the pension, the higher the monthly benefit. Usually, companies will cap the years of service credit at some number such as 30 years – which means there’s no increase in the pension based on working longer. Most companies allow employees to become “vested” (the pension is fully the employee’s) after 5 years, sometimes less. Posted in: pension, retirement, retirement plan. In the case of an inherited IRA, splitting it often is desirable in order to better accommodate a distribution plan after the primary owner dies. This can be done prior to the death of the IRA owner, or it could be done after the death of the IRA owner, as long as it’s accomplished before the end of the year following the year of death. When an IRA is inherited by a non-spouse individual, that individual is required to begin taking distribution of that IRA. The required distribution is based either upon the heir’s age or the age of the decedent. 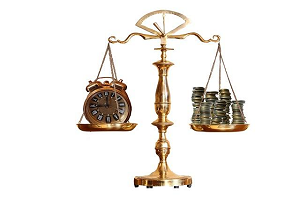 In most cases when the beneficiary is younger than the decedent, it is more advantageous to stretch those payments out over the longer period of time by using the heir’s age for the required distribution. If there is more than one beneficiary, unless the IRA is split, the Required Minimum Distributions (RMDs) will be based upon the attained age of the “designated beneficiary”. This is the oldest living beneficiary as of September 30 of the year following the year of death of the primary IRA’s owner. You can split the IRA into separate IRAs for each beneficiary, each titled as “John Jones, deceased, FBO Jane Brown” (probably not exactly like that because the names will be different in almost all cases). Then the individual IRAs can be distributed according to the age of each individual beneficiary. Splitting the IRA must be completed by December 31 of the year following the year of death. Note: you don’t have to split the IRA into separate IRAs by September 30 of the year following the year of death. This is just the administrative date for determination of the designated beneficiary. If you split the IRA into separate inherited IRAs by December 31 of the year following the year of death, then administratively the designated beneficiary of each separate IRA as of September 30 would be the individual heir owner of the account. Splitting the IRA into separate IRAs for each intended heir before the original owner dies simplifies matters for the heirs. By splitting the IRA before death, the inheritants can simply take RMDs based on their own attained age, and nothing else is required (no account splitting, no deadlines to meet). But if this isn’t (or can’t be) done, splitting the IRA after death is usually best for all involved. 7 comments already - add to the conversation! Posted in: Early Distribution, IRA. So you’ve set up your 401k with your employer’s administrator, made your allocation choices, and everything is set to go. You’ve got this retirement saving thing by the tail, right? Not so, Mona Me. (or maybe that’s mon ami?) Or at least not completely so. You see, way back in 2006, Congress passed the Pension Protection Act, which had a provision in it that allows employers to automatically enroll employees in retirement plans, and make default investment choices for them. Doesn’t apply to me, right? Since I enrolled on my own and made my own choices for allocation of my investments… right? Once again, Mona, you’re not completely correct. The plan sponsor (your employer) can make changes to the funds available for investment choices at any time. So, instead of that no-load broad market fund that you originally chose, now you have a loaded (yes I know they’re usually waived loads in 401k’s) high expense ratio fund that doesn’t really accurately represent the total domestic equity market very well. Your employer can make this change any time they want – maybe it’s to get their cousin an additional commission since he sold the plan to your employer. But then again, maybe it’s just because the bossman read an article that said A shares were superior to all other investments, or something equally idiotic. Another possible way that your employer could change your allocation in your 401k account is if it was determined that your account wasn’t diversified enough. Seems pretty big-brotherish, but it’s still a possibility, just not very common. Default investments can be changed on a whim as well – from a basic money market account to, perhaps, a costly stable-value insurance product. When these choices are changed, your money is automatically moved. You can always change to something else (among the available options), but you have to make the change on your own. So – the watchword you should take away from this is that you need to pay close attention to communications that you company sends you regarding your retirement plan. None of these changes can be made without communicating the change to you in advance – but if you are like most folks when you get that pack of paper and the book written on recycled cigarette paper, the last thing you want to do is sit down and study it thoroughly, right Mona? Particularly pay close attention when your company sends you a letter explaining changes to the plan. These are supposed to be concise and easy-to read, so watch for them. When funds are going to be automatically moved you’ll get a notice in advance so that you can choose something different from the default. This may be helpful, or it may not – but you’ll be in a position to have better control over your funds. Posted in: 401k, investing, qrp, qualified retirement plan, retirement plan. In case the rules surrounding Roth IRAs weren’t confusing enough so far, there are actually TWO 5-year rules that can apply to your Roth IRA account. See the IRS’ flowchart in Figure 2-1 (page 30) at this link in order to determine if your distribution is qualified. The second 5-year rule applies to a 5-year period beginning on January 1 of the year of a conversion to a Roth IRA from a traditional IRA or from a qualified retirement plan such as a 401k. If any amount that was subject to taxation during the conversion is distributed before the 5-year period is complete will be subject to an additional 10% penalty applied to the distribution. This would also include post-conversion earnings on all amounts converted within the prior 5 years. Add all conversion and rollover contributions made during the year together. For purposes of the ordering rules, in the case of any conversion or rollover in which the conversion or rollover distribution is made in 2018 and the conversion or rollover contribution is made in 2019, treat the conversion or rollover contribution as contributed before any other conversion or rollover contributions made in 2019. Of course, the regular contributions can always be taken out of the account tax free (no 5-year rule applies). After that, the two 5-year rules kick in on the rest of the types of funds in your account. 5 comments already - add to the conversation! Posted in: Early Distribution, IRA, tax. It should not come as a shock that there are certain fees involved in maintaining a 401k plan – there is a degree of back office activity, such as signing up participants, tracking accounts, maintaining changes to accounts, distributing statements, and the like. In addition, the plan administrator must provide certain reports to the government, along with required annual reports for participants (that annual Summary Report, written on cigarette paper, that you get in the mail once a year and promptly toss in the trash), as well as reports to the management of the sponsoring company on plan participation rates and such. You would likely expect to share in the cost – after all, it’s benefiting your account, right? – and it seems like that sharing should be based on your account balance or at worst evenly distributed among all participants. However (and there’s always a however in life)… depending upon your fund choices, you may be paying more toward those back office activities than the guy in the cubicle next to you. Turns out, the more inherent fees in an investment choice, the greater portion of the overhead you’ll be taking on (in general). If you’re in a money market account or (shockingly) the company stock, you might not pay any overhead. If you are in a managed mutual fund, you could be paying as much as 0.6% in annualized overhead fees. As with most things surrounding 401(k) fees, it’s not very clear just how these costs are allocated – and quite likely not very fair in the long run. These fees are disclosed to you, by law, ever since the fee-disclosure rule went into effect in 2012. Under that rule, plan administrators are required to mail you a quarterly statement showing your investments’ rates of returns, investment-related fees, and expenses, including any amounts the plan deducted from your account to cover administrative expenses. Like many documents surrounding your 401k plan, these are long-winded and confusing. Most participants in 401k plans don’t even know that this information is disclosed to them, and among the ones that are aware, a paltry few actually take action based on the disclosed information. Of these fees, the Administrative fee is typically a per-account fee, such as $30 per year. This covers all of the back-end paperwork that each account, no matter the size, has to shoulder. Investment fees are specific to the investments you’ve chosen, and can range quite wide. Depending upon the share class of the investments you have in your portfolio (in your 401k), you might be paying 1-2% annually in marketing and fund management fees. This one is the hardest to find (because it’s buried in a prospectus), but it is also likely the fee that causes the most drag on your account’s returns over time. Individual service fees are based on actions you’ve taken with your account, such as taking out a loan against your 401k plan balance. All of these fees cause a drag against your returns, but as mentioned previously, the investment fees are (potentially) the most harmful. Looking into these fees and adjusting your holdings to avoid the highest investment fees can make a huge difference in the long-term results. For example, if you put $200 every payday ($5,200 a year) into your 401k, with an average return of 8%, you’d anticipate a balance of approximately $324,000 after 30 years. With an expense ratio of 1.2% on your mutual fund, however, the resulting balance would only be approximately $255,000. Changing from a mutual fund with a 1.20% expense ratio (another term for the investment fees) to one with a 0.30% expense ratio could bolster that result up to approximately $305,000 – an increase of $50,000! You can look up the expense ratios for your 401k holdings pretty readily, most often by going to the plan administrator’s website. There, you should be able to find each offering’s expense ratio with a bit of searching. Swapping out the expensive fund for a less expensive alternative (but keeping the same asset class!) should be a relatively simple activity. It takes some time, but look at it this way: if you spend an hour doing this and the results are similar to the example above, you could be making $50,000 an hour for your work! 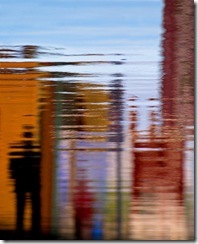 Posted in: fiduciary, financial planning, investing. First brought into existence in 1962 (yes, it’s a late-boomer like me!) the Keogh or HR10 plan is essentially a vehicle that allows the self-employed to establish pension plans just like the big companies can. A Keogh plan can be either a defined benefit (traditional pension) or a defined contribution (such as a 401(k)) plan. The Keogh plan has the same attributes as many other qualified plans, including the age 59½ limit for qualified withdrawals, as well as the age 70½ required minimum distribution rules. Depending upon the type of plan established, you can invest in most common investment vehicles within a Keogh plan. The real benefit of a Keogh plan over a SIMPLE or other types of plans available to small employers is in the higher limit for contributions. In the Keogh plan, up to $56,000 (for 2019) can be contributed and deducted, limited to 25% of the overall compensation of the employee. Alternative retirement plan vehicles such as the solo 401(k) plan have lessened the need for the Keogh plans in the defined contribution arena. However, for establishment of a defined benefit pension plan or a money purchase pension plan, the Keogh remains a very important piece of the puzzle for sole proprietorships and other unincorporated businesses. One particular downside to the Keogh plan: If you have no employees, your Keogh plan is not necessarily protected from creditors. If there are employees in the plan (other than owner/partners) then ERISA law protects the accounts from creditors, but without employees, ERISA has no jurisdiction over these accounts, and your assets may be subject to creditor claims, depending upon applicable state laws. Just something to keep in mind with the Keogh. 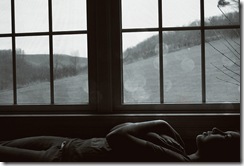 Posted in: financial planning, investing, retirement plan. We construct portfolios out of various asset types in order to diversify, or spread out our risk. To spread risk we choose multiple asset types of differing profiles. Most often these asset types include domestic equities (US-based stocks) and domestic fixed income (US-based bonds), which provide for basic diversification. Then, we include additional asset types in order to achieve further diversification. Examples of additional asset types include commodities, foreign equities, foreign-denominated bonds, and real estate. It is important to keep in mind as we review various asset classes for inclusion in our portfolio, that we must achieve appropriate return for the inherent risk associated with the specific asset class in question. It is for that very reason that we choose to include real estate as a component of the well-rounded portfolio: due to real estate’s ability as an asset class to deliver a greater reward-to-risk ratio than most any other asset class. This goes, in general, for both personally-owned real estate and real estate owned via Real Estate Investment Trusts (REITs). REITs are like a mutual fund of real estate holdings, primarily commercial real estate holdings. During periods of high inflation (as we may experience again soon), residential real estate has always provided a good hedge against rising inflation – even in times when some residential real estate loses value. The fact remains that, although at times many folks have been hit and hit hard devaluation of real estate, present value of real estate is generally expected to appreciate at a greater pace than inflation in the long run. On the downside, commercial real estate doesn’t always share residential real estate’s inflation-hedge benefits. Global commercial real estate tends to provide the opportunity to benefit from currency gains when domestic inflation is higher than that of the countries that you (or your REIT) hold property in. This is a similar benefit to owning foreign-currency bonds. In a period of deflation, another similar benefit is found, although it is more related to the appreciation of foreign currencies due to appreciating yields. The greater benefit during deflationary periods is found because commercial property rental rates tend to lag the market, which in turn produces real gains to the owner of commercial property. As we know, during a normal (not overly inflationary or deflationary) economic period, residential property (directly owned, as in “your own home”) provides both an economic benefit and many emotional ones. Commercial property provides not only a generally more stable return with generally less risk than equities, with generally a higher return than can be found with bonds. In other words, the reward-to-risk ratio that you achieve with real estate is greater than with bonds or real estate, although the risk is different. By investing in the first and third asset classes in equal amounts, it stands to reason that we’d benefit by having different sorts and degrees of risk that affect our investments, and not all of our funds would be negatively impacted at any one time. Real estate is just such an asset class, when related to equity or stock investments. Historically speaking, real estate in general is only about 40% correlated with equities, making it a very good diversifier. I realize that you may not necessarily agree with all of this in light of what we’ve seen happen not so long ago in the real estate world, but there is reason to believe that the same sorts of returns will continue in the future for commercial real estate. Plus, it is very important to keep in mind that real estate should be only a small part of your overall allocation – in no case have I recommended more than a 5% allocation to this investment class. Posted in: investing, real estate investment.